Australian players protested against the third umpire\'s decision to not give Corey Anderson out LBW off a Josh Hazlewood delivery during the trans-Tasman series. 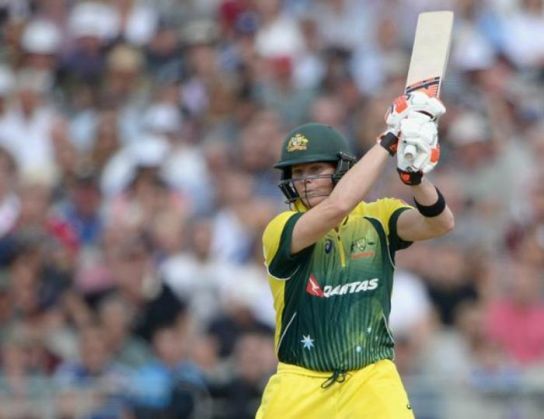 Captain Steve Smith has been fined 30 percent of his match fees following the incident. The charge relates to \"showing dissent at an umpire\'s decision during an international match\". Australian skipper Steven Smith has been fined 30 per cent of his match fee for breaching Level 1 of the ICC Code of Conduct during the second Test against New Zealand in Christchurch on Tuesday. The player was found to have breached Article 2.1.5 of the ICC Code of Conduct for Players and Player Support Personnel, which relates to "showing dissent at an umpire's decision during an international match". On Tuesday, after TV umpire Richard Illingworth had turned down a referral against Kane Williamson, Smith had shown his obvious disappointment at the outcome by questioning on-field umpire Martinez about his decision and that of the TV umpire. Following the conclusion of the match on Wednesday, Smith admitted the offence and accepted the sanction proposed by Chris Broad of the Elite Panel of ICC Match Referees. As such, there was no need for a formal hearing. The charge was levelled by on-field umpires Richard Kettleborough and Ranmore Martinesz, third umpire Richard Illingworth and fourth official Derek Walker.